Wanted to give an update, but last week's article was already long and this might be missed there. 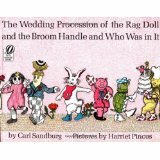 I love the old Maud and Miska Petersham drawings in the original Rootabaga Stories and Rootabaga Pigeons, but know today's children also love their picture books to lure them into the verbal play of Carl Sandburg. 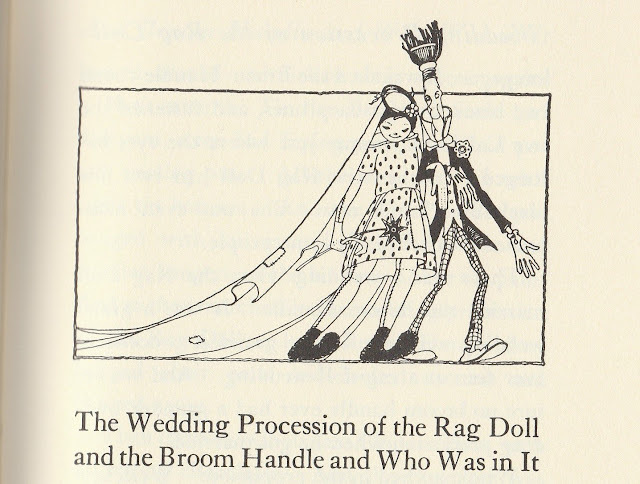 This is why I recommend the book illustrated by Harriet Pincus with so many delightful pictures. The few illustrations in the original Rootabaga Stories and Rootabaga Pigeons are great for later when readers can let their attention be held just by the words. 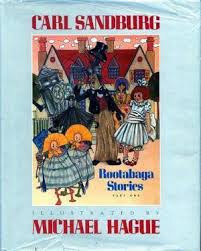 For the in-between stage, just a bit past one story with lots of pictures, but still needing more than in the Petersham version, I recommend Michael Hague's two volumes of Rootabaga Stories. 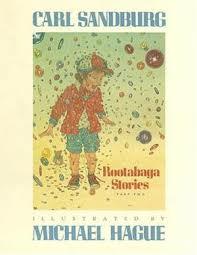 I generally find myself enjoying his work because he, too, has a tendency to love children's Public Domain fantasies. He has a wonderful style when giving them added illustrations. At an article at Embracing the Child he calls himself "one of the most fortunate of beings. For as an artist I have not only the pleasure but the duty to daydream. It is part of my work." -- the fine print on those two book covers say they are Part One and Part Two. and confess to not paying nearly enough attention to it. Somehow I missed an important fact: it wasn't yet another volume of those earlier stories. 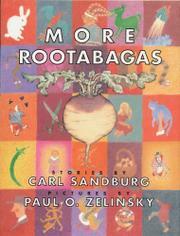 According to its introduction by Sandburg scholar George Hendrick, Sandburg wrote dozens more Rootabaga stories that remained unpublished. 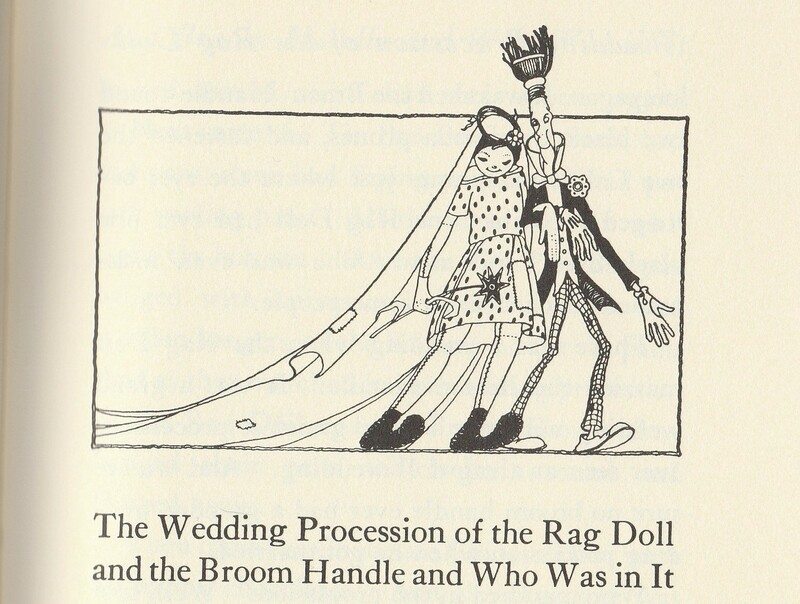 In More Rootabagas Hendrick selected ten that "most reflect Sandburg's incomparable storytelling magic" while using the two earlier books favorite characters and places. In addition reviewers raved about Zelinsky's own playful style of artwork. Those stories, and not just Zelinsky's artwork, are now under a horribly long copyright since they were published in 1993. Because the work was created before 1978, but never published or registered as of that date, its copyright will not expire before December 31, 2047. For the other "dozens more that remained unpublished", as well as for the Hendrick/Zelinsky book, I went to the calculator I recommended at Public Domain Sherpa and learned, if neither Hendrick nor Zelinsky or anybody else publishes them, some storyteller scholar can enjoy telling them publicly in 2038. Normally I wouldn't hope researchers ignored something this wonderful, but getting them ten years sooner might actually let me tell them before I die. All of this is why I get out my soapbox and start to rant about the insanity copyright has become. This article is intended as an Update, but I want to repeat a recommendation to read the Washington Post's very detailed article by Timothy B. Lee, which points out there are more books available from the 1880s than the 1980s and "the 1976 and 1998 extensions have deprived a generation of readers of easy access to books from the 1920s, 1930s, 1940s and 1950s." I recommend it because I'm sure he's correct to warn us those same corporate interests behind the 1998 extension can be expected to mount a campaign to extend it even further in the next few years.